Taken from Corrina Ferguson Knit Designs: "Teasdale is started with red leafy border worked in one long piece. Stitches are picked up to work the patterned body." 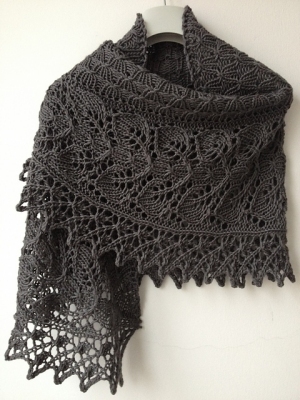 This pattern is from Corrina Ferguson Knit Designs - Teasdale. Size US 6 straight needles (or size needed to obtain gauge), stitch markers, and a tapestry needle are required but not included. Finished Measurements: 15" x 50" after blocking. Gauge: 20 sts and 28 rows over 4". $38.00 -- Kit price including yarn only (no book or pattern).